There is arguably no comedian in history that can use dry humor and stammering to deliver jokes better than Bob Newhart. The award-winning stand-up comedian, who has the record of being the first comedian to receive a Grammy Award in the category of Album of the Year Award and is also a critically acclaimed actor, is best known for his comedic album, The Button-Down Mind of Bob Newhart (1960), and his portrayal of psychologist Dr. Robert Hartley in the 70s show, The Bob Newhart Show. Join us as we take a look at how his career began as well as other aspects about his life. Bob Newhart was born George Robert Newhart, the only son of four children to Julia Pauline (nee Burns) and George David Newhart, on the 5th of September, 1929, in Oak Park, Illinois. His mother, who was of Irish descent, was a homemaker while his father, who had English, Irish, and German ancestry, was a part-owner of a plumbing and heating-supply business. Newhart was raised in a devout Catholic household. Because of this, he attended Catholic schools like St. Catherine of Siena Grammar School in Oak Park and then St. Ignatius College Prep where he graduated from in 1947. After high school, he enrolled to study business management at Loyola University of Chicago, graduating with a bachelor’s degree in 1952. He was subsequently drafted into the United States Army during which the US was fighting the Korean War. Newhart served as a personnel manager during his two years of service before he was discharged in 1954. After leaving the army, Bob Newhart briefly returned to Loyola University to study law. He later abandoned that ambition to take up a job as a clerk in the unemployment office and then later as an accountant. By 1958, he began working as an advertising copywriter for Chicago-based film and television producer, Fred A. Niles. During his time with Niles, Newhart and a co-worker famously called each other on the phone and entertained themselves by talking about absurd scenarios. The pair later recorded themselves and sent them out as audition tapes to radio stations. By 1959, Newhart, who was now alone in the routine as his partner ended their participation, was signed by Warner Bros Records to a record deal and the rest became history as the comedian launched his now almost six-decade-long career. Bob Newhart, according to the popular Celebrity Net Worth website, has an estimated net worth of $65 million. The business management degree holder, who spent some time working in the accounting department of the construction material manufacturing company, United States Gypsum, made his wealth through his various roles in films and television shows, but most significantly, from the sales of his very successful comedy monologue albums and from the success of his sitcoms. It is no surprise that Newhart was subsequently able to afford a mansion in Bel Air, California, which was designed by the legendary Southern-California based architect, Wallace Neff. 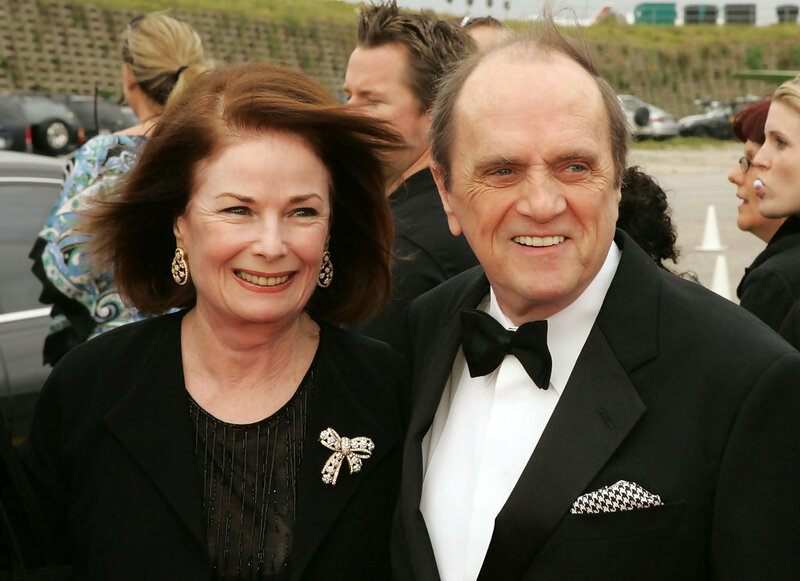 Bob Newhart is married to Virginia Quinn, the daughter of film and television actor Bill Quinn. It is not clear where and when the pair first met, although they are said to have been introduced to each other by actor and comedian Buddy Hackett. The couple dated for a while before going ahead to exchange vows on the 12th of January, 1963 and subsequently went ahead to welcome four children; Robert, Timothy, Jennifer, and Courtney. Today, Newhart and his wife, who is popularly known as Ginnie, have ten grandchildren and maybe more to come. With a height of 5 feet 8 inches (1.73m), Bob Newhart is surely not going to be the tallest man you would ever come across in your lifetime. The dark brown hair and eye-colored comedian further weighs about 68 kg. Bob Newhart is very much alive and well, although he has in the past suffered a death scare. In 1985, he was rushed to the emergency room after suffering a medical condition described as secondary polycythemia which was caused by his heavy smoking habits. After spending several weeks in the hospital, Newhart made a recovery and quit smoking entirely. He has since that time continued to work, most recently reprising his role of Professor Proton in the pilot episode of Young Sheldon (2017). In July 2018, he released a new audio series via Amazon that features funny and informative chats with celebrities, called Hi Bob. He is further scheduled to reprise his Professor Proton role in the 12th and final season of Big Bang Theory.